Summer is technically over but I’m not buying it. Sorry, I’m here for the white jeans, casual light and bright summer inspired dinners and al fresco dining for at least the rest of September. 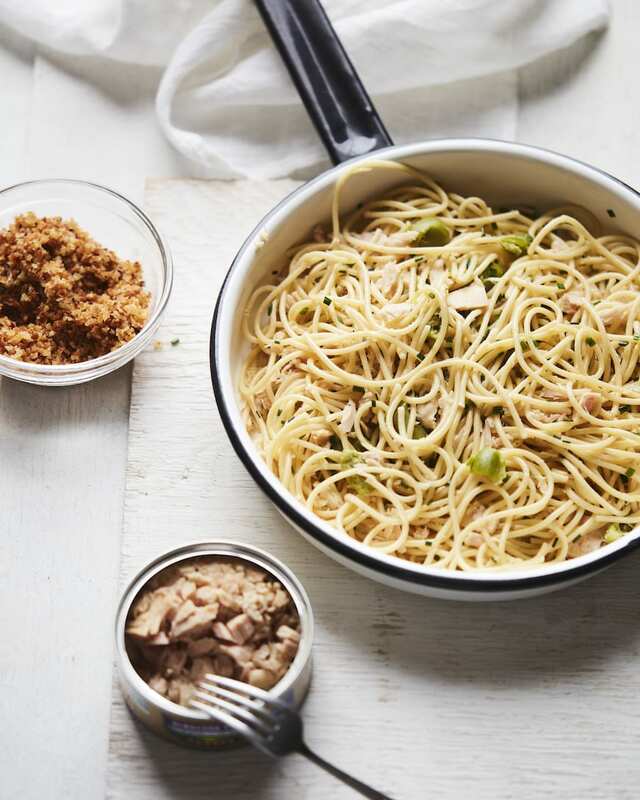 And this Lemon Spaghetti with Tuna and Breadcrumbs fit right into my game plan! 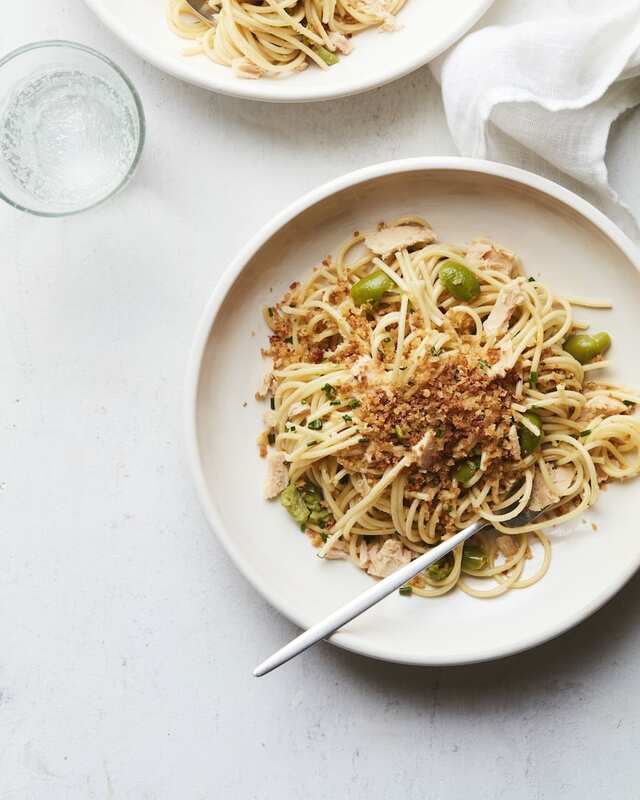 This Lemon Spaghetti with Tuna and Breadcrumbs is half quick and easy weeknight dinner and half summer pasta dish. Technically it’s a pasta dish that can work for any time of year, but let me live in my summer fantasy just a bit longer. 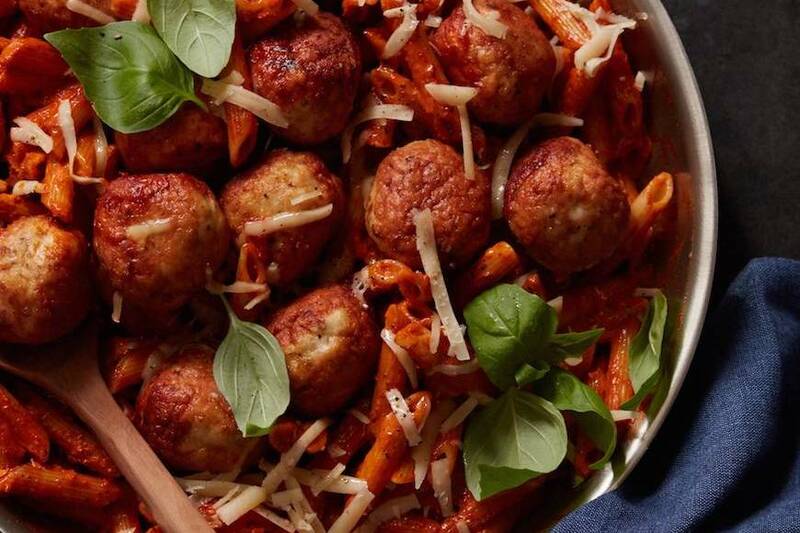 It’s made with pretty much 100% ingredients that you have on hand right this second – so consider dinner tonight handled! It starts with spaghetti but you could use any long pasta you prefer – bucatini, linguini, fettuccini, you get the idea. And then it’s tossed with a mixture of garlic, some spice from the red pepper flakes, lemon, chives, olives and Genova Albacore tuna that is legit the only tuna I keep stocked in my pantry at ALL TIMES. The tuna is incredibly flavorful and packed in olive oil so you get all the goodness from that. 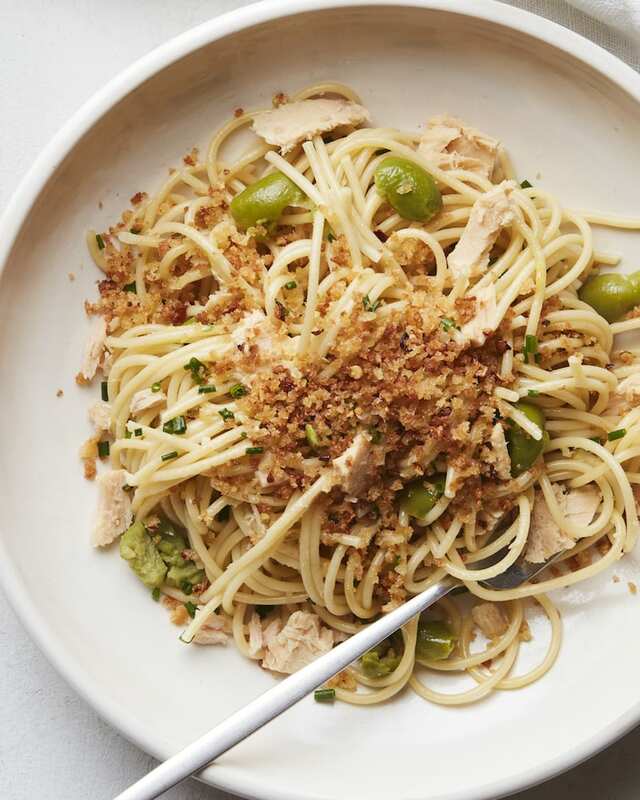 It’s the perfect combination of flavors from the flavorful tuna, the briny olives, the crunch from the breadcrumbs, etc. And because you know I love a swap, you could use the Genova Yellowfin if that’s what you have on hand. But whether you go Yellowfin or Albacore, both are delish, packed in olive oil and loaded with flavor. And FYI – Genova is certified sustainable by the Marine Stewardship Council (MSC) which is MAJOR if you’re like me and concerned with sustainability! Plus it’s non-GMO verified, wild-caught and all natural! Grab a few tins next time you see them at the store, or throw some into your amazon cart and get busy! 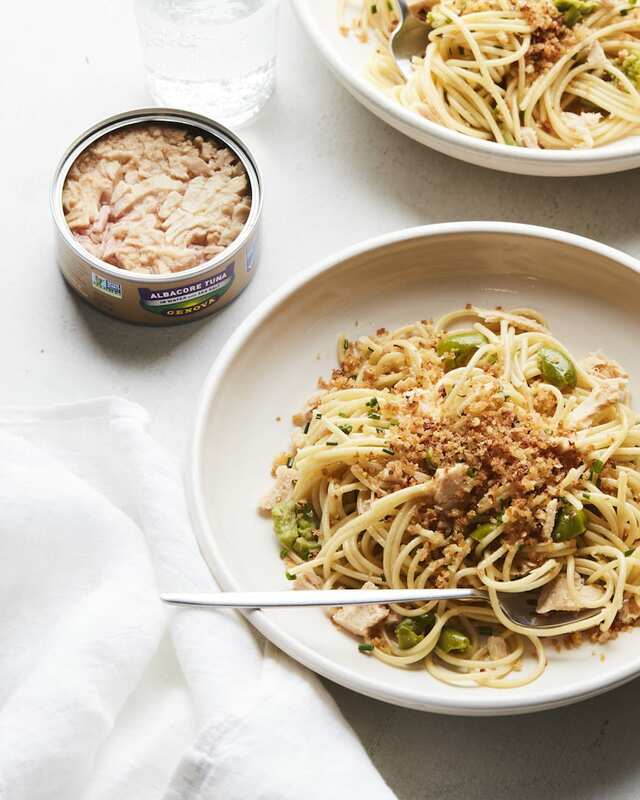 Want some more idea for recipes with canned tuna – check out the Loaded Nicoise, Tuna Melts, Spicy Chili Tuna with Arugula or the Pasta Puttanesca I did with Genova last year! Heat the olive oil in a skillet over medium heat. Add the garlic and red pepper flakes and sauté for 60 seconds until fragrant. Add the bread crumbs and sauté until toasty. Remove and set aside. Cook pasta in boiling water until al dente. Reserve 1/2 cup pasta water; drain pasta, and return to pot. Add lemon zest and juice, chives, olives, toss, adding enough pasta water to coat. Add tuna; toss gently. Serve sprinkled with garlic toasted breadcrumbs and serve. Summer is SO NOT over yet! I’m hanging on all long as possible. 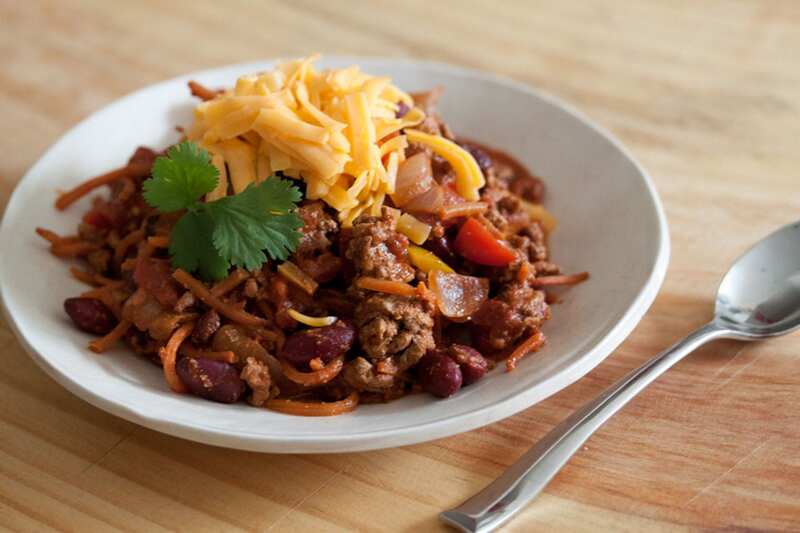 And loving dishes like this – one part comfort food and one part lighter fare. Perfect transition pasta! This is one for my kids, they love all types of lemon pasta! This looks out of this world delicious! 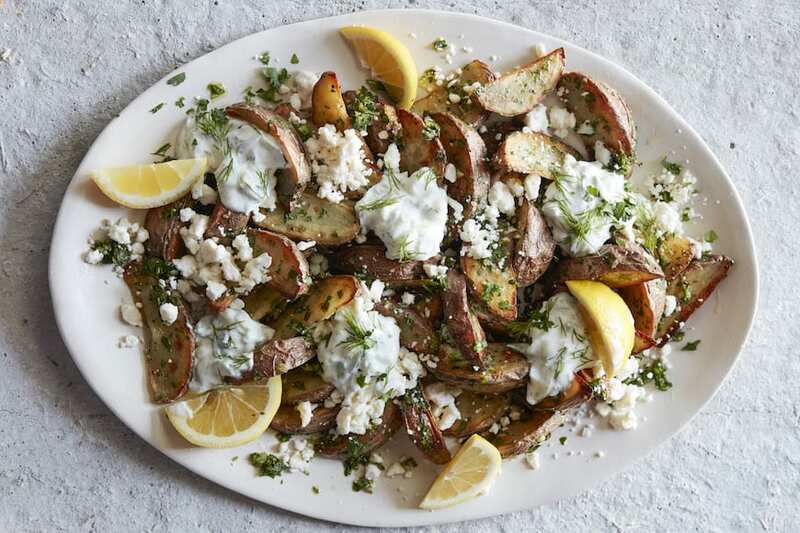 An easy dinner perfect for any night of the week! I want this for dinner this week!!!!! Pinning!